So what did I get up to in Berlin? It’s time to swap the bright lights of Frankfurt for some Berlin grit. I leave the show and hop on a train to Berlin. It’s history that brings me to the city, not cars, but then I find a car that’s part of that history. 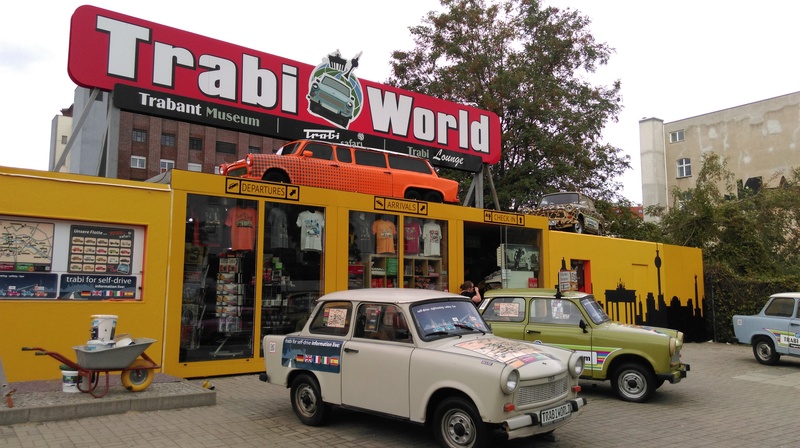 Take a Trabi Safari in Berlin or visit a Trabi museum! I hit the tourist trail on Wednesday morning and it’s not long until I see my first Trabant. The Trabant or ‘Trabi’ was built in the German Democratic Republic by VEB Sachsenring Automobilwerke between 1957 and 1991, and became a symbol of life in East Germany before reunification. 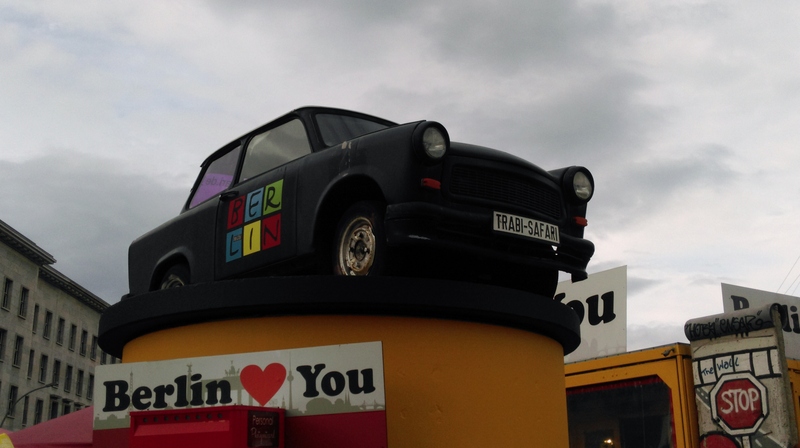 Now the Trabi is a celebrated part of Berlin’s past and you can hire one and drive around the city in it (‘Trabi Safari’), and I pass at least two Trabant museums where you can found out more about the car and then buy some tacky Trabi memorabilia on the way out. On Day 2, wandering down the Unter den Linden, I come across the Volkswagen Group Forum, an exhibition space for the Group’s brands in the centre of Berlin. 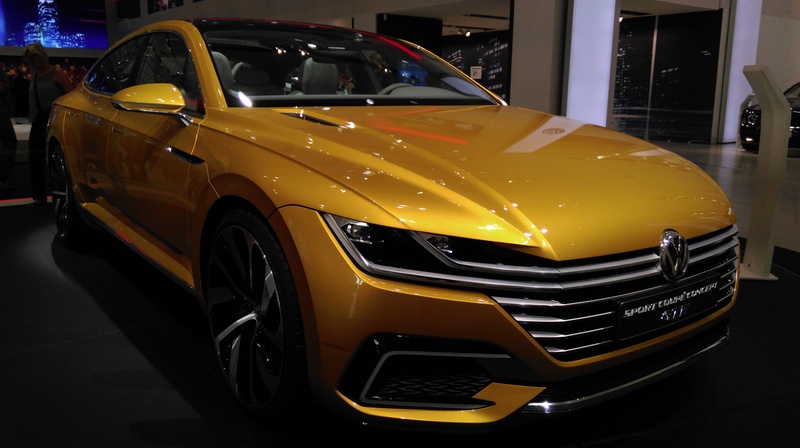 The space is currently housing the Bentley Mulsanne, Lamborghini Huracan, Porsche GT3RS, SEAT Leon ST Cupra, Audi A3 e-tron and Volkswagen Passat GTE, as well as quirky concepts like the Nils and XL1, and the Sport Coupé Concept GTE, fresh from its appearance at the Geneva Motor Show earlier this year. There are also some interesting exhibits like a deconstructed e-Golf, a chance to get behind the wheel of a virtual Golf GTE, and sit in and try out the brand’s massage seats. Carl and Bertha Benz, nice to meet you! 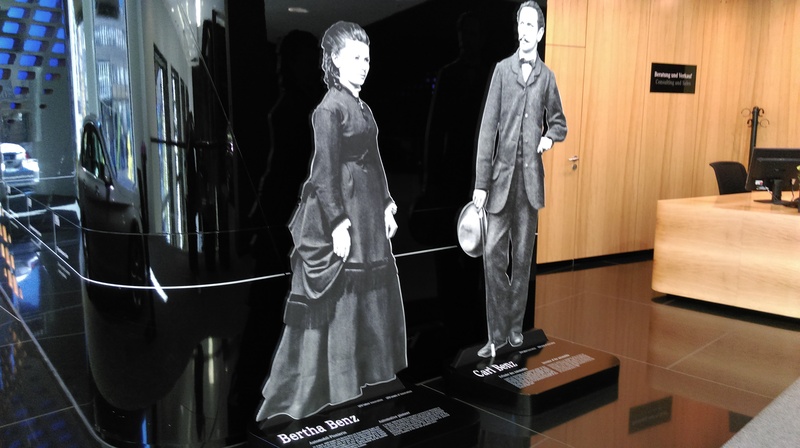 Across the street, the Mercedes-Benz Gallery houses some cars from the range and tells a little of the story of the brand, complete with life-size cut outs of Carl and Bertha Benz and Gottlieb Daimler! 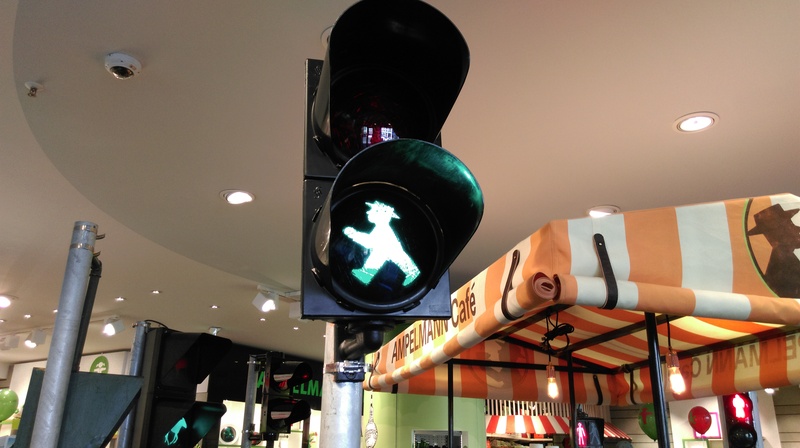 Before leaving the city I visit the Ampelmann shop that plays homage to Berlin’s famous traffic light symbol. In Germany, largely people wait for the Ampelmann to turn green before crossing the street even if there are no cars in the immediate vicinity and it appears ‘safe’ to cross. That would never happen in Dublin. And in Germany if you disobey this you look like a loser; in Ireland you look like a loser if you wait for it to turn green. Vlog: Goodbye Prius, Hello Discovery!